Welcome to Episode 99 of SunCast! 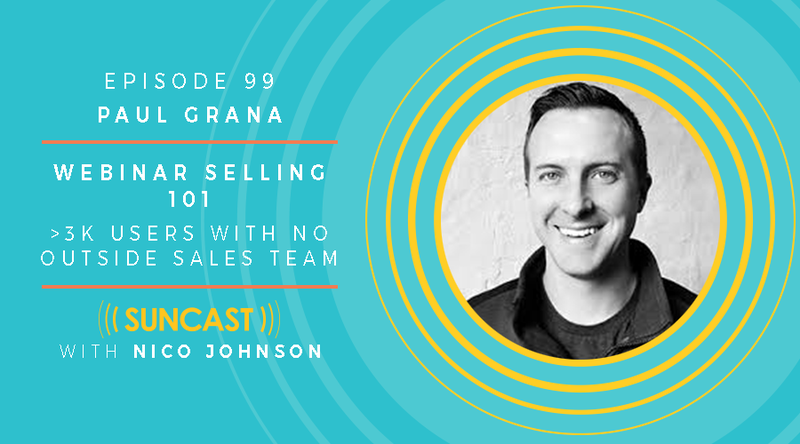 Today I'm bringing back one of my favorite SunCast past guests, Mr. Paul Grana of Folsom Labs as we help you discover the value of using Webinars in your sales and marketing process. Paul and the team over at Folsom Labs have leveraged webinars instead of an outbound sales team, and when I first interviewed Paul back in Episode 77 I promised to bring him back on to dig in further.